More people are working from home and need a space they fell comfortable spending their work time. Thought we would share how to decorate a stimulating yet stylish home office and get some ideas to spruce up your home office space. Check out these Home Office Makeover Ideas That Will Transform Your Workday. Despite the fact working from home brings about several benefits, you will need a dedicated room or space in order to stay motivated and complete all those necessary tasks. Thankfully, you aren’t confined to the formal nature of a standard office and can impart some individual flair. But how can you create a stimulating yet stylish home office, which keeps you focused but is also a pleasant place to be? Owing to the fact you could be spending a great deal of time in your home office, it is essential to have suitable seating. Your choice of chair should have an adjustable height and lumbar support, but also a reclining back, armrests, wheels, and a deep seat depth. Although it will be tempting to pick the most stylish option, opt for function over fashion, as your body will appreciate this in the long run. 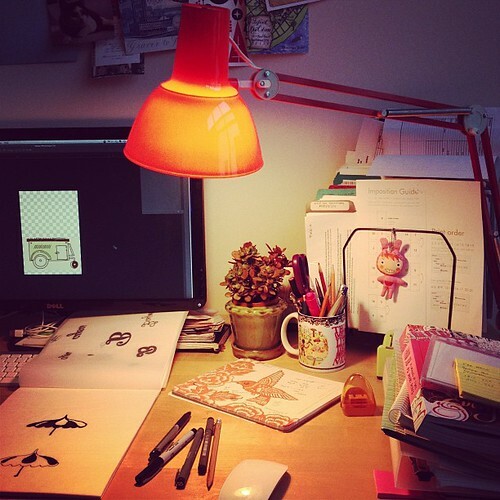 Light is incredibly important when it comes to work, as dull and dark spaces can be very depressing and demotivating. So, think about arranging your furniture with natural sources of light in mind. However, you will need to be mindful of glare on your computer or laptop screen. Therefore, it might be worth investing in a nice pair of curtains and a bright task lamp for your desk as well. There is nothing worse than bland and boring walls, because every time you take a break and look up, you will be greeted with a rather uninspiring canvas. For that reason, express yourself and decorate the walls with a lick of fresh paint or some rousing pictures. You can also take advantage of the height with some additional storage solutions such as shelves and bookcases. Along with big items of office furniture like desks and chairs, you will also need to furnish your room or space with smaller fixtures and fittings. A lot of the time, these finer details can make all the difference. Desk accessories such as items of stationery and document organizers will always come in handy, keep you focused on your work, but make any space much more stimulating. You’ll be able to find plenty of different home office accessory options at stores such as Tesco, which will suit any budget. Even though you will need to furnish a home office with productivity in mind, this doesn’t mean to say you can’t have some fun when decorating. Bear the aforementioned tips in mind and you will end up with an agreeable room or space that also keeps motivation levels high. 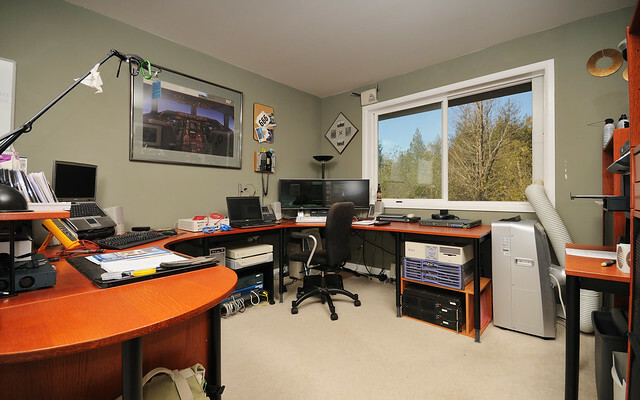 Which of these Home Office Makeover Ideas would you implement first?